Air conditioning systems are great to keep the indoors cool during hot summers but when they’re run frequently (day and night), they can put a big dent in your pocket as they can result in high utility bills. However, if you wish to keep your indoors super cool during the summers while lowering your energy bills, you might want to consider installing a commercial grade AC misting system. To understand the function of the commercial AC Mister, it’s important to first understand the reason why AC units take much longer to cool the indoors during summers. When the weather becomes hot, the cooling capacity of the AC unit decreases by nearly 14 to 15%. And simultaneously, the power that it draws increases significantly by at least 31 percent. 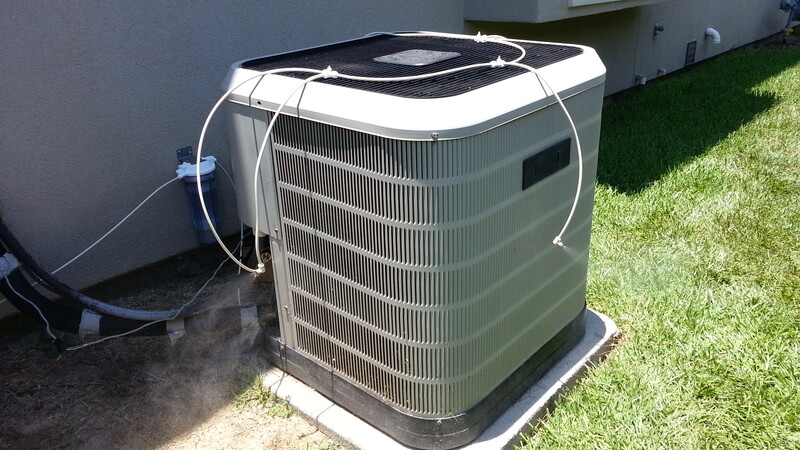 Since the air outside is hotter than the usual, it takes more time for the condenser coil and the built-in compressor to cool the hot air and therefore, you need to keep the system running longer, resulting in skyrocketing energy bills. Now this is where our AC misting system can benefit you. The function of this unit is to pre cool the air around the AC unit. The system emits cool mist around the unit which keeps the air in the surroundings cool. As the warm air cools before it enters the AC unit, it puts less pressure on the AC’s compressor. Therefore, it takes fairly lesser time to cool the room and achieve the optimal room temperature, thereby translating into massive energy savings and low utility bills. 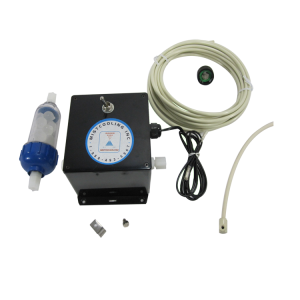 Our systems are configured to work at city water pressure between 40 psi and 100 psi. Our system includes scale control filtration which prevents both the condenser coil from scaling and nozzles from clogging. It is a onetime investment that will last for years and offer you amazing energy savings from the moment you integrate it into your property. For more information or installation services, get in touch with us today!